This Error Message Article explains the BACKTRACK error message “Unable to connect to database: Connection timeout expired” and details how to fix the underlying problem that caused it to appear. 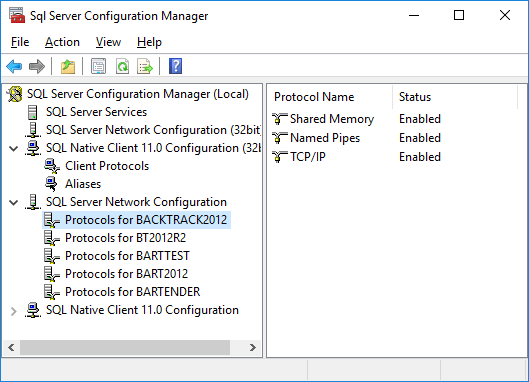 There is a communication problem between client workstation (BACKTRACK) and SQL server the system where the data for BACKTRACK is stored. In most instances, that will be the SQL server. If you are using Microsoft Access, it could mean that the server where the BACKTRACK databases are stored is not accessible (down or having connectivity issues). Confirm that the database is online. In SQL cases, make sure that the server is on and the databases are mounted. In Microsoft Access case, make sure that the server is online and the databases are in the location that is reachable by the workstation running BACKTRACK. Confirm that the user has appropriate permission for the databases.